Are you frustrated with how your abs look? Has your ab training of late become incredibly unrewarding? Are you ready to leave behind the new gimmick infomercial devices and take a lesson in ab training straight from the old school? This is a tip learned from Mel Siff, a brilliant exercise scientist from South Africa, who can explain everything about weight training in mathematical terms. When performing curl-up exercises like the crunch, always inhale at the start of the exercise and exhale at the completion of the movement. Exhaling during the contraction phase reduces the tension on the muscles of the lower-abdominal region -- and when it comes to building strength and size, the more tension you develop, the greater the stimulus. Of course, the downside of holding your breath is that it increases blood pressure, so this technique should be avoided by those with cardiovascular problems. Tune in tomorrow for Tip #2! So what exactly is this tea? It's a high-grade, organic white matcha grown at an altitute of 6,500 feet above sea level under the bright sun of Kenya's majestic Great Rift Valley — allowing the leaves to soak in extraordinarily high levels of antioxidants and fat-burning polyphenols. 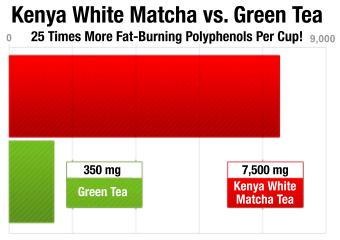 This tea — called Kenya Rift Valley Reserve White Matcha™ — is NOT sold in stores and is licensed and sold to consumers exclusively through TeamANR.com. Give it a try at our risk, not yours. If you are not 100% satisfied with this potent ab-shredding tea, send it back (even if it's empty) for a no-questions-asked, hassle-free refund. What's more, if you place your order today, you can save an additional 20% off your total order. But don't waste time... supplies are short and moving out the door fast. Q: I like to have an occasional beer or glass of wine in the evening. How does alcohol affect my nutrition and exercise programs? A: Alcohol is a very concentrated source of calories (7 calories per gram) and, when it enters your blood stream, your liver must reduce or stop its metabolism of fats and carbohydrates and many of its other vital functions in order to process it. This dramatically interferes with your ability to lose fat by causing a buildup of fat in your liver, a decrease in glycogen (master fuel) formation in your liver and muscles, and an interference with niacin, thiamine and B vitamins -- all essential for energy production! 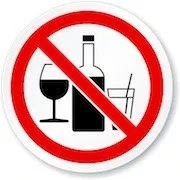 In addition, alcohol will stimulate your appetite (carbohydrate-sensitive people very often crave sweets when they drink), make it much harder to exercise, and act as a diuretic, causing you to lose precious water -- all of which will sabotage your efforts to get lean and muscular. My advice -- use very little or none at all! 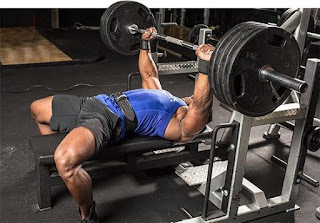 So what's the best training method for maximizing muscle strength? Ask a hundred different trainers and you'll get a hundred different answers. Indeed, the advice we get when it comes to strength training is no more clear-cut than the IRS tax code. Fortunately, we have researchers like Professor Mark Peterson at Arizona State University to help us sort it all out. Note: Rest 1 minute between sets. Try to increase the weight a little each week. According to two new published university studies (one published in January and the other in May), the Gold Medal for Natural Muscle Builders goes to an exotic Indonesian tree root extract called Tongkat Ali. Unlike other so-called "T-boosting" supplements, which are backed by "petri dish studies," Tongkat Ali is backed by peer-reviewed, placebo-controlled research carried out on actual human beings. In the first human study published in the Journal of the International Society of Sports Nutrition, men taking Tongkat Ali for 28 days (200 mg/daily) saw a 37% jump in their T-levels -- resulting in significantly improved libido, lean muscle tissue, and abdominal fat reduction. 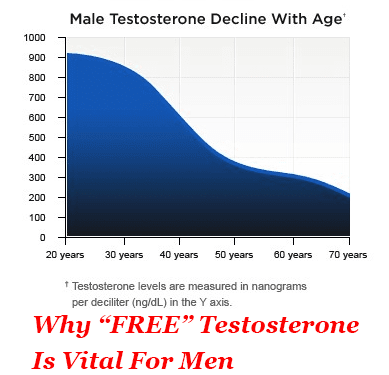 And in the second study published in the scientific journal Andrologia, the researchers conclude: "Tongkat Ali is a natural alternative to Testosterone-Replacement Therapy (TRT) and has been shown to restore serum testosterone levels, thus significantly improving sexual health." The bad news is trying to find authentic Tongkat Ali in supplement form, as it can be a daunting task. This exotic virility tonic is grown and cultivated in just two countries -- Indonesia and Malaysia. Unfortunately, an influx of imitation Tongkat Ali from China has flooded the market -- making the search for the "Real Deal" a frustrating one for consumers. While Adaptophen can be found at many leading national health retailers at the regular retail price of $79.90 per bottle, for a very limited time, bottles are being made available online at just $37 a bottle — a savings of over 60% off regular retail prices. Whey protein powder – still the “go to” supplement for athletes and bodybuilders — is much better absorbed and utilized when combined with specific enzymes, a new study has found. The most recent double-blind, placebo-controlled clinical study of the multi-enzyme compound ProHydrolase® combined with whey protein has shown improved digestion and absorption of amino acids along with reduction of the immunogenic responses associated with whey protein consumption, compared to whey protein alone. The researchers gave 20 athletes (aged 19 to 35 with normal healthy BMI) whey protein with ProHydrolase® for nine days and whey protein by itself for nine days. At the end of the study, the researchers found that total amino acid concentrations increased significantly (by 55 mg) more after taking the whey protein and ProHydrolase supplement than after just the whey protein-only supplement. In other words – taking whey and ProHydrolase provided 20% more amino acids than whey protein by itself. ProHydrolase, when consumed with a whey protein supplement, encourages pre-digestion of the protein, allowing for the release of the full content of the essential amino acids for building muscle and improving muscle recovery. Helps pre-digest whey protein so that amino acid levels in the bloodstream are up to 55 times higher compared to other leading protein enzymes on the market today. 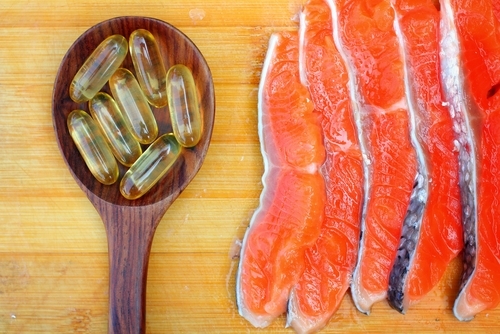 Can increase protein absorption by up to 300%. Here is why this study has mass appeal: whey protein is the top-of-mind powder supplement for muscle-building. But there is an important step that allows for the body to utilize the whey. Whey protein is somewhat cumbersome for the digestive system to efficiently break down and assimilate, a process that requires specific enzymes (proteases). Typical whey proteins are bound together in a peptide complex that needs to be broken down for effective utilization. Ideally, for whey to help promote muscle growth and strength, it should be digested to at least the tetra-peptide level within 90 minutes to be used by the body. Absorption takes place in the small intestines. Larger protein fragments cannot be absorbed and become food for the micro flora in the large intestine which can contribute to unpleasant gas and bloating issues. This research shows the impact when supplements can be effectively assimilated and thus utilized, thereby meeting label claims. This is crucial, because consumers do not feel their muscles being built and repaired, although they may feel the “afterburn” of a particularly rigorous session. Herein lies the key: it is no longer good enough to just rely upon faith that the protein consumed is going to work. With the addition of the specific protease blend, ProHydrolase, consumers can know for sure that they have a better whey. The protein powder market is flooded with products that promise lean muscle gain and increased strength. However, when you begin using these protein powders for lean muscle gain, you realize they offer nothing more than a large amount of calories, low levels of protein and little nutritional value. Even worse, you experience an increase in body fat instead of lean muscle mass. To help combat this problem in the market, TeamANR has scientifically developed Monster Mix to help bodybuilders and other fitness enthusiasts achieve the muscle growth they want. Monster Mix is an anabolic whey protein powder that uses natural ingredients like tongkat ali, creatine, rhodiola rosea extract and more to create a protein synthesis that is not found elsewhere on the market. And now, New & Improved Monster Mix is fortified with ProHydrolase, for 300% better lean muscle gains than whey protein alone. Benefits of this natural all-in-one whey protein powder include improved recoverability, increase muscle hypertrophy and testosterone levels, and finally, a rise in human growth hormone levels. Most importantly, Monster Mix helps you achieve lean muscle growth quickly. 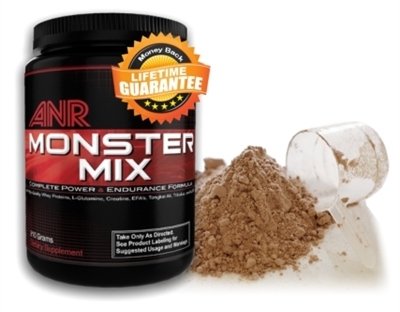 Monster Mix is the best muscle-gain supplement on the market. It combines 17 bodybuilding supplements into one high-powered formula. See what kind of difference Monster Mix makes for you in the gym. Researchers from the University of Texas recently investigated the effects of both whey and casein protein on lean muscle gains. Lifters who consumed whey protein before and after their workouts saw a significantly greater increase in lean muscle mass and overall muscle strength. A recent study published in the European Journal of Clinical Nutrition examined the effects of whey protein and isocaloric drinks on athletes who reduced their daily calorie intake by 500 calories. Those who consumed whey lost a larger amount of body fat, yet managed to preserve their lean muscle mass. Whey protein shakes can significantly improve fat-loss efforts. Lower calorie intake often translates into greater hunger. Whey protein could take a bite out of that hunger. Australian researchers recently compared the effects of four different beverages on appetite suppression. The study participants who drank whey protein shakes experienced lower levels of ghrelin, a hunger-stimulating hormone. With results that last up to four hours, this is another reason whey may be the best fat-loss protein available. Glutathione is an important nutrient for disease prevention, yet most people have probably never heard of it. “The mother of all antioxidants,” glutathione is essential for detoxification and immune system functioning. Preserving this molecule is yet another of the many whey protein powder benefits. According to a new study from Canadian researchers, men who engage in strenuous physical workouts suffer significant reductions in their glutathione levels. This impacts not only their immune system, but also their gastrointestinal and nervous systems. By supplementing the diet with whey protein, glutathione levels remain balanced and the body can effectively fight disease and illness. European researchers have recently discovered stress-reducing benefits in whey protein. In their studies, people who consumed whey exhibited a better mood and fewer signs of depression. This may be due to the protein’s effect on serotonin, a “feel good” brain chemical. 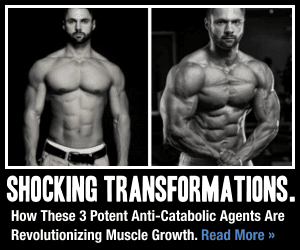 Monster Mix is the best muscle gain supplement on the market. It combines 17 bodybuilding supplements into one high-powered formula. See what kind of difference Monster Mix makes for you in the gym.